This is part five in six-segment article, the last in our four-part series offering advice to players on the steps necessary to create a championship caliber Ultimate team in their area. 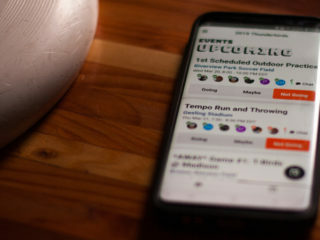 When we got our season schedule, it was a mixture of good and bad news. The first surprise was good; there was a JV league. That meant there was still a slight hope for our 3 victories. The next surprise was not so good; these were the JV teams of the most storied programs in Seattle. They were coached by a who’s who list of elite players and produced many players for college & club national champions. This is going to be a tougher year then I could have imagined. We had to do something about those high-risk throws, but before we did, I wanted to get some other things done first. After the three warm-up drills, we started practicing pulls. For pulls I only asked for two simple things; 8 seconds of hang time and in-bounds. 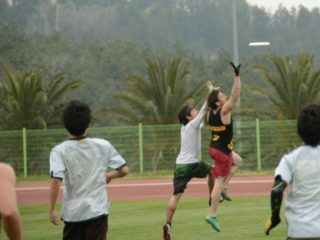 An average player can float the disc for 6 seconds, a good player for 7 seconds and an elite player for 8. Everybody has a turn with 5 discs to show me what they can do. Two of the players were very good and the rest needed to practice some more. Coach Tip: An interesting side point about pulls is that a lot of elite players need a lot of private time to prepare themselves before the pull. This odd nature of pressure sports always perplexed me. Why do basketball, football, baseball and soccer players all have to perform before raucous crowds, while golf, bowling and Ultimate players require silence? That doesn’t make any sense to me. Because of this, I always have the entire team chant the player’s name as they pull each disc. I want the players I coach to be properly prepared for when they will be pulling in front of 50,000 screaming fans. I introduced a new twist to the Give-and-Go Drill. I put two cones 40 yards apart and had the players form two lines. One line got a disc for each player. I had the first players in each line do a Give-and-Go up to the far cone. I had each pair in the lines do this one after another. When the players got to the far side, they formed two lines facing back towards me. I had them do the same drill coming back towards me. This time the players had to switch backhand and forehand throws. Then, I had each pair do a Give-and-Go up to the far cone just like before. Only this time, when they reached the far cone, instead of forming two lines coming back, I have the players jog back in single file through the next pairs of players as they do Give-and-Gos towards the cones. Just as I had hoped, chaos! The players need to run, throw & catch while keeping track of the defenders. This is one of the things I do with the team; once the players begin to get comfortable with a drill, I change it slightly to increase its difficulty and change its context. One thing I work hard to do is to prevent the players from getting comfortable with a drill. Becoming good at a drill does not guarantee that the skill will work in a game. The coach must continually modify drills to foster the team’s ability to adjust to the uncertainties inherent in the game. The remainder of practice was a protracted scrimmage. But first, I needed to stop those high floaty throws into the middle? The reason I want to stop those throws is because they will get D’d in an actual game. You can’t hang a throw like that into the teeth of the defense and expect it to work, especially against an experienced team. I keep telling the players that while bad offense can still beat bad defense, bad offense will not beat good defense. I kept saying this over and over again to little effect. I really needed to do something. I needed to get an inexperienced defense to perform like one that’s practiced together for years. I decided to use my whistle to improve the defense and to discourage risky throws. Every time a player on my team throws one of those risky passes, I take off my whistle and heave it at the ground while uttering some words & using some phrasing I developed as a sergeant in the Marine Corps (Semper Fi, all you Devil Dogs). Okay, that’s not exactly what I did; it turns out this is high school and not Paris Island or Camp Lejeune, so I calmly blew my whistle and called out “Turnover!” It’s a real easy concept and incredibly effective. Every time my team did something that I felt would result in a turnover against a good team, I would call the turnover. The team groused about my calling turnovers on completed passes, but that didn’t stop me. As the practice proceeded, I observed the handler decisions steadily improving. There were far fewer flat throws into the middle. However, there seemed to be an emerging malady I call “Huck Love.” It seems if you can’t throw it high and floaty into the middle; why not throw it wild and deep? Huck love is a dangerous thing. I don’t mind a precision deep pass to an open cutter. What I do mind is a deep pass to someone you want to be open or to someone who might be open if you wait just 5 more seconds. Players seem to get so caught up in what they hope will happen that they lose track of what will probably happen. The key to a successful offense is taking immediate advantage of the situation on the field as it unfolds. Standing and waiting for something specific to happen is a great risk. The risk is that if the desired situation does not happen, a viable alternative may not appear in time. I’ve seen so many teams fail when the opponent takes away something and the team can’t adjust by doing something else. Coach Tip: I remember a college regionals a couple of years back between two very good teams. A team whose name I won’t mention (Don’t worry Stanford; your secret is safe with me) was running the horizontal stack against a taller & faster team. Time after time the team-I-will-not-name put deep throws into the teeth of the defense and time after time the wrong team came away with the disc. I watched this train wreck of a game for a while. Finally I couldn’t stand it anymore and I walked up to a player and asked them why they weren’t playing a different offense. The player simply replied, “It’s the only offense we know.” I learned an important lesson from this game. I learned that if you can take away a team’s strength, they’re only left with their weaknesses. 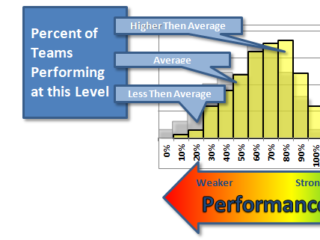 As teams get better, they become more predictable. Success for most good teams comes out of winning individual matchups and less on managing chaos. Really good teams rely on individual physical advantages against their opponents. My coaching technique is more about taking advantage of emergent situations than it is on running set plays that the opponent can plan for. Practice 6 started with the usual three drills, except that one of the players came up to me and said “Coach, my legs hurt, can we stretch?” Crud… I was working the kids so hard they’re hurting themselves. I’ve had been so focused on skills development that I neglected proper warm-ups and cool-downs. The daunting task of having only 9 practices before our first game had caused me to put the players’ health at risk. I was extremely embarrassed (and remorseful) and I swore from that day forward, I would ensure all players are properly prepared before I started any practice. That day, I reassessed selected players on their ability to pull. To do that, I set up a video camera at one end of the field and pointed it along the goal line with a slight bias into the end zone in order to see the complete pull run up. I give each player who wished to be filmed 5 pull opportunities. I later compared the videos against the baseline video of our best puller. This helped me to assess the mechanics of each player, adjust their technique and improve their pulls. For today’s scrimmage I decided to discourage deep throws. 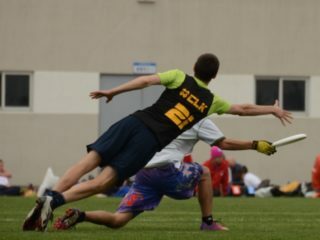 Aside from my distain for Huck Love, I feel that you can’t learn disc movement, continuation throws and resets if every third pass is to the end zone. I told the players they could throw the disc as deep as they want, all they want, at lunchtime when they’re playing catch with their friends. 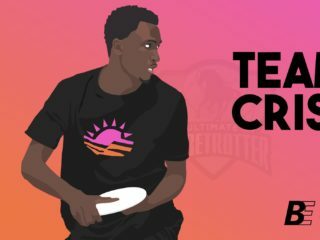 To be successful at Ultimate you must have a short game. To reel in the offense, I divided the field into 6 zones by placing cones along the sidelines. The rules were simple: if the disc crosses 2 or more cones in flight, I will blow my whistle and call a turn over. There was a little bit of grousing from the players, but I was unswayed by their passionate and lucid arguments. This limitation accomplished two things, it forced the offense to work the disc and it gave the defense a lot of experience playing against the short game. An experienced D-line would eat up the O-line under these restrictions, but our D-line was inexperienced and will needed time to gain experience. When the D-line did improve sufficiently, I would increase the cone spacing. As the scrimmage progressed, the handler cuts following the throw began to steadily improve. What emerged, though, were issues with the cutting routes taken by the handlers and then the throw target selection after each catch. Coach Tip: When the players do something right they will often follow it up with something wrong. The coach needs to acknowledge the rightness of the first decision while challenging the follow-up decisions. As a coach this is one of my weaknesses. I find myself criticizing the last part of a play without first acknowledging all the good things leading up to that final poor decision. I spent the entire season trying to improve my verbal acknowledgement skills. What I mean by taking issues with the follow-on handler cuts and the throwing decisions centers around my insistence on the throw creating viable continuation opportunities off the reception. Many times I see an open cut that has many flaws. It might be an in-cut into a crowded area, it might be a cut that forces the other cutters to abandon their routes, or it might be a cut that has no possible continuation. I put the responsibility on the handler to quickly read the throwing options and chose the first one yielding the strongest continuation opportunities (motion offense). On the positive side there were significantly fewer floaty throws into the middle, so there must have been some learning going on. With ten minutes to go, I took off the one cone pass restriction and let the players demonstrate what they had learned. Segment 6 goes over drops, throws and implementing a zone.